Aerial view of beach goer’s on Hilton Head Beach, South Carolina. This aerial view of the Sunset District in San Francisco would make an awesome puzzle. Totem Pole leading the way in this vast expanse in Northern Arizona. HIkers gaze up at the mysterious Delicate Arch in Canyonlands, Utah. Flying around these massive stone walls can make you feel pretty small. Lines, curves and levels. The Wave. Sunset aeirial view of the crazy formations of The Wave, in southern Utah. Aerial view of the graveyard showing off the order of the planes. Final resting place for airplanes. Sandstone carved and shaved by the elimants of Mother Nature in Canyon Lands, UT. 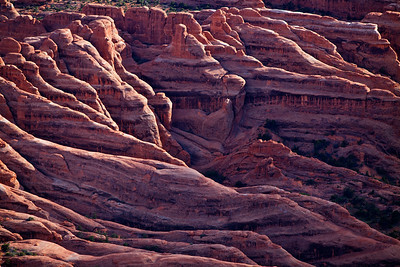 Aerial views captures this crazy mountainside in Arches National Park. Aerial view over the north tower of the Golden Gate. From the top of the Golden Gate Bridges as itstands guard over San Francisco, CA. Rugged country of the Grand Canyon with the Colorado River winding through the middle. Aerial view of all of these levels of the earth and sky. Shadows from clouds floating by covering portions of the Grand Canyon from the air. 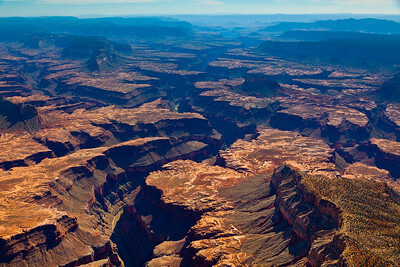 Aerial shot of the many layers and canyons and colors of the Grand Canyon. The shadows always tell the real stories in aerial photography. Historic San Francisco from a Cessna. 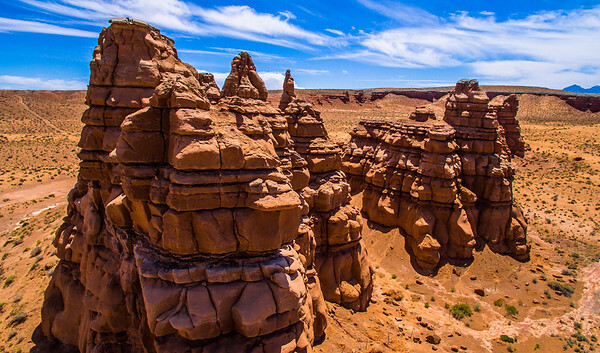 Drones take us up close and personal with these crazy rock formations in the southern Utah desert. 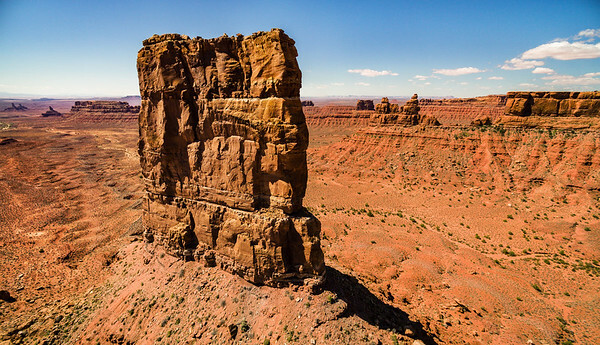 Aerial shot of one of the spectacular pinnacles at Valley of the Gods. Love the distant mountain you can see through these Needle Pillars near Moab, Utah.